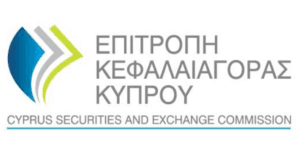 The Cyprus Securities and Exchange Commission (‘CySEC’) issued an announcement-warning with regard to Worldwide CapitalFX – a forex brokerage brand that is not authorized to provide investment services and/or perform investment activities in the country. The Cyprus Securities and Exchange Commission, known as CySEC, is the financial regulatory agency of Cyprus. As an EU member state, CySEC’s financial regulations and operations comply with the European MiFID financial harmonization law. A significant number of overseas retail forex brokers have obtained registration from CySEC. Worldwide CapitalFX offers a wide range of trading assets including binary options, cryptocurrencies, Forex and Contracts for Difference. According to the website, the broker is owned and operated by Algobit Ltd. and claims to be located and regulated in the USA. However, the company is not overseen by any authority in the USA or any other country and, moreover, Algobit Ltd. is registered in Seychelles. The offshore zones such as the Marshall Islands, Vanuatu or Seychelles cannot be considered as safest for the clients’ funds and the authorities there do not guarantee the protection of accounts. There are at least two major red flags when it comes to investing with Worldwide CapitalFX, offshore registration, and false regulation info. Obviously, we wouldn’t recommend traders to deal with this broker and think about more reliable options.